Have you picked out your Valentine’s Day cards yet for that special someone in your life? Nope, I have not yet either. I am on my game when it comes to other holidays but Valentine’s Day always seems to sneak up on me. That’s why this year I am looking for some inspiration to make an easy yet thoughtful card. Check out some of the best ideas I found below. What kinds of Valentine’s Day cards do you like giving or receiving? We tend to lean towards funny cards in our house, but sometimes we go the sentimental route. Which card is your favorite? I know plenty of people who are over the moon about Star Wars. While I have yet to see the new movie myself yet, it’s on my list. 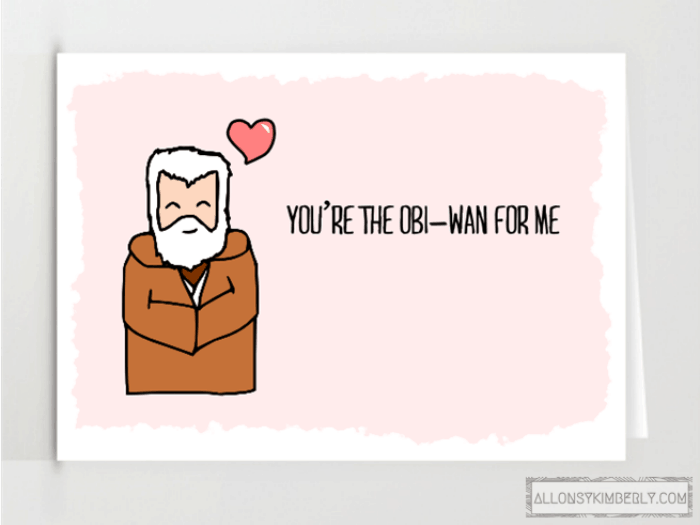 Why not know your Valentine they are the Obi-wan for you? There is also an R2-D2 card and Bobba Fett. These cute cards are free printables you can make right at home. 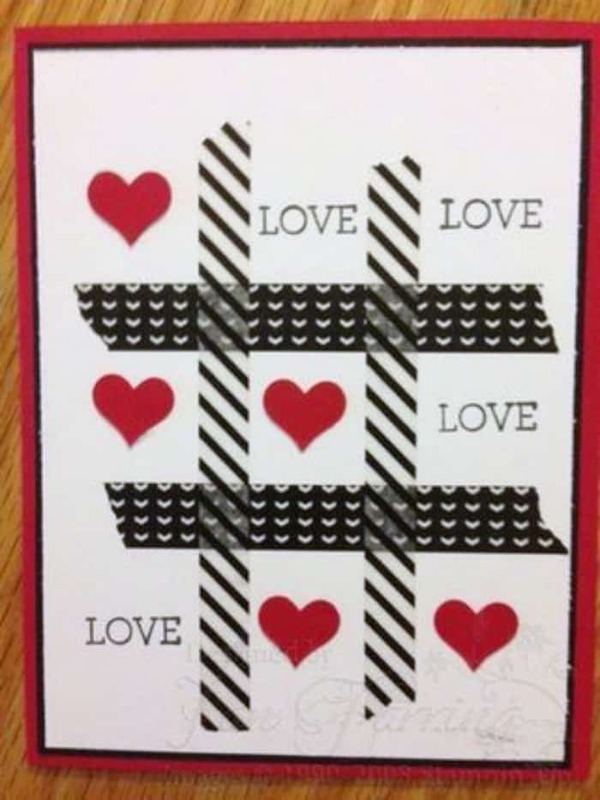 This pretty tic tac toe card is the perfect way to use up those leftover items in your craft stash. A little washi tape and a few hearts bring this card full of love in no time. I have moved and traveled quite a bit, so this “You Mean The World To Me” Valentine’s Day card goes straight to my heart. 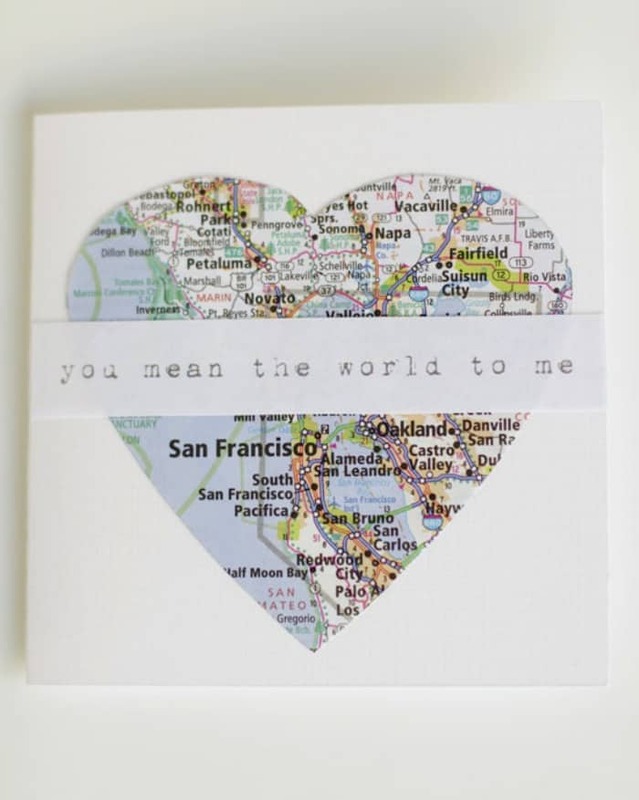 All you need is an image of a map of your favorite place to put together this thoughtful card super easily. If Redbox and working together on your laptops sounds like your kind of evening, you should check out this funny realist Valentine’s Day cards. All six of these funny cards are free printables and perfect for your favorite Netflix and chill style Valentine’s Day plans. If you love a surprise inside a card, then this sweet Valentine is perfect. You won’t be able to stand the anticipation as your Valentine opens it! 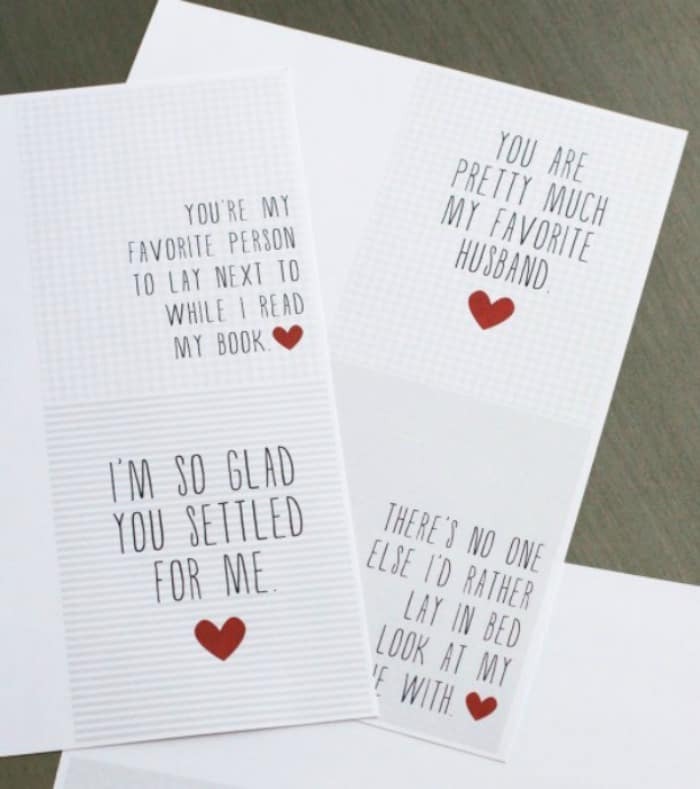 This sweet Valentine’s Day card is a super sweet sentiment. I love that I already have everything I need on hand to quickly throw it together, and the idea is too cute. Win the lottery with this funny DIY scratch off card. 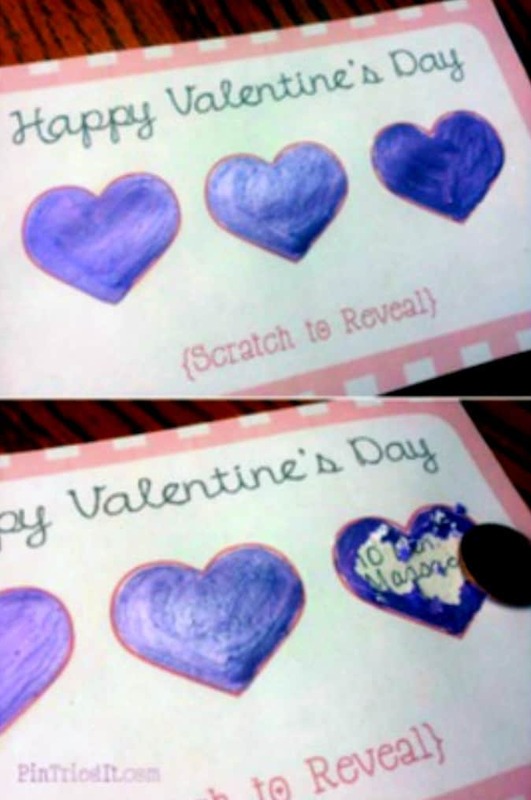 Pick a few romantic prizes to hide, and then use the scratch off paint technique. Your sweetie will love this surprise no matter what they win! So cute and creative! I love them all especially the scratch off card. These are so simple to make but they are sure impressive. These are super fun! I think this would be a fun couples project. It definitely personalizes Valentine’s Day. Since I love traveling, the map is my favorite! These ideas are all so cool though! Wow! So many cute ideas! 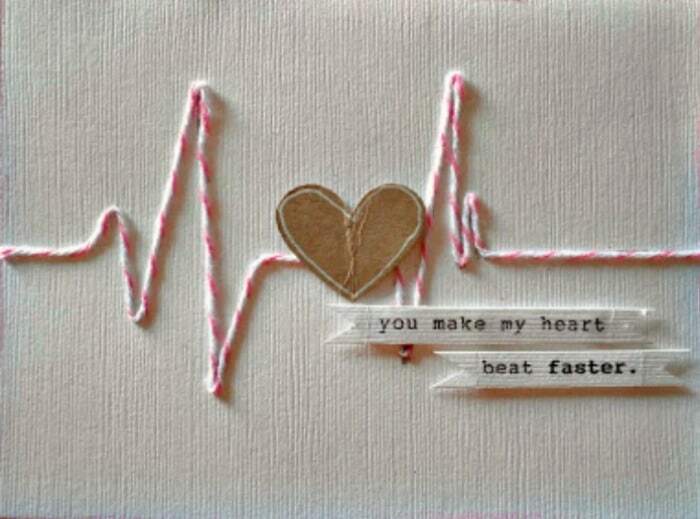 I really love the heartbeat, surprise and map cards! I think I might use some of these ideas this Valentine’s Day! This is so adorable! I love DIY Valentine’s. So much more meaningful than the store-bought kind. I LOVE these ideas! My favorite is the map- so perfect because we just moved this year! These are really cute! The scratch off cards have been on my to make list for a while now so maybe I’ll give those a shot. Thanks for the round up. 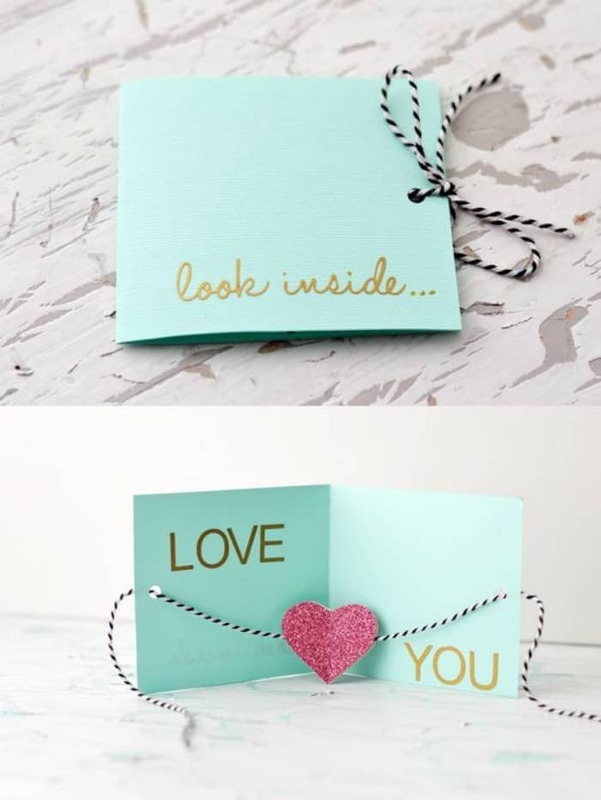 I love these ideas for simple valentines ideas. I love making crafts for the holidays with my kiddos, and these ideas are right up our alley. Do I Have to Stop Breastfeeding Now that I am Pregnant Again?